'I'll Take You There': The Staple Singers' Rise From Church To Fame The group's sound broke down musical walls and inspired civil rights leaders. 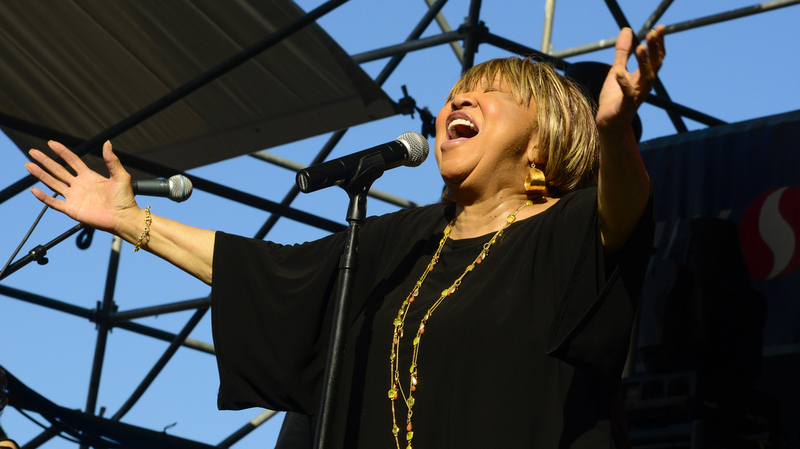 NPR's Arun Rath speaks with biographer Greg Kot about his new book, I'll Take You There: Mavis Staples, the Staple Singers, and the March Up Freedom's Highway. Mavis Staples performs at the 2013 Waterfront Blues Festival at in Portland, Ore.
Today, the voices of Roebuck "Pops" Staples and his four children — Cleotha, Mavis, Pervis and Yvonne — are woven into America's DNA. As the Staple Singers, the family created a sound that was part blues, part gospel and part folk, breaking down musical walls and inspiring civil rights leaders. 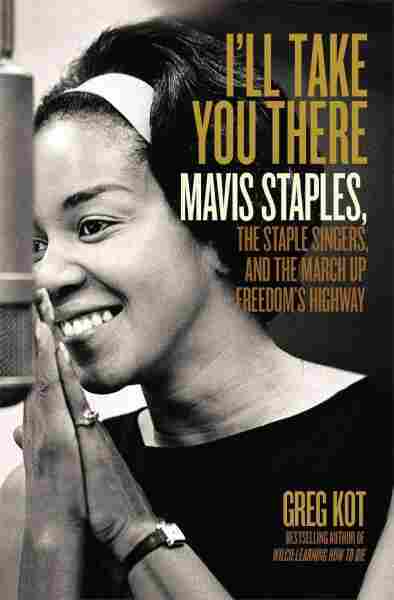 Biographer Greg Kot wrote about the Staples family in his new book, I'll Take You There: Mavis Staples, the Staple Singers, and the March Up Freedom's Highway. He says that unique sound began with Pops Staples and the musical apprenticeship he dreamed up for his offspring. "He had a cheap guitar — it only had four strings, it was like a secondhand, pawn shop guitar. But it was enough strings so that he could play a note and give each child their particular harmony part," Kot says. "There's something about being around people all your life, growing up with them, hearing them talk, hearing them sing off-key, hearing them yell at you. You know instantaneously where the phrase is going to drop, where the syllable is going to be, how certain words are going to be pronounced. You cannot replace that. And those harmonies lasted a lifetime." But, Kot says, the success of the Staple Singers had as much to do with their differences as their similarities — especially when it came to taste. "You have to understand, in this group you had several generations blending," he says. "Pops was a traditionalist, no doubt about it; he was a very staunch gospel man. But he was an open-minded guy, and part of it was, his children were listening to everything." That open-mindedness would lead to relationships with Sam Cooke, Bob Dylan and many more. Kot spoke with NPR's Arun Rath about the family's journey from Chicago churches to the canon of American song, and about Mavis Staples' continued presence and relevance today. Hear more of their conversation at the audio link. The Staple Singers' taste was omnivorous. Here, they perform "The Weight" in 1976 with the members of The Band, as part of the concert documentary The Last Waltz.